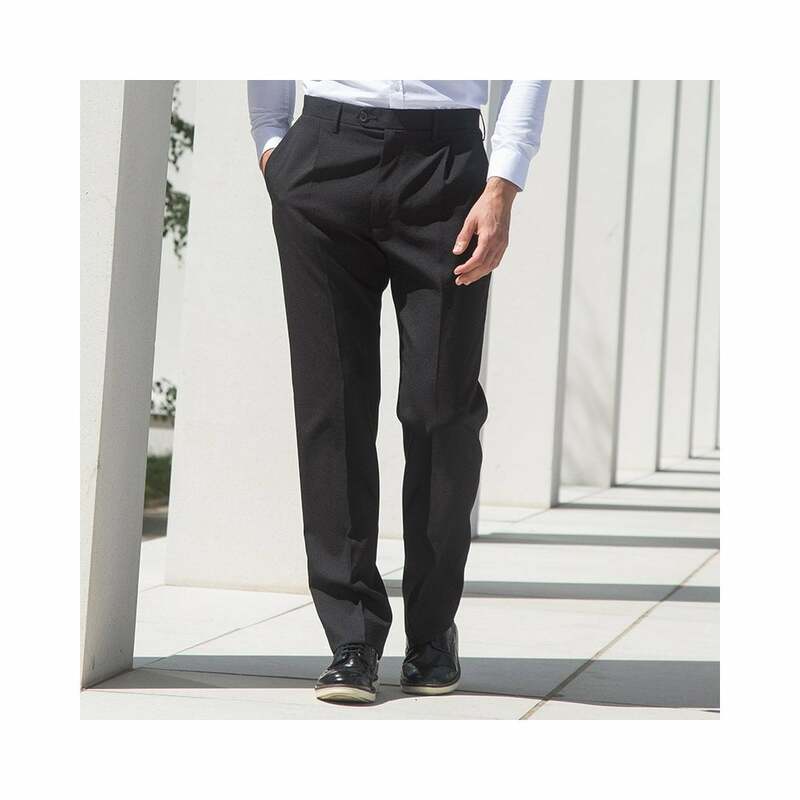 Henbury Men's Polyester Single Pleat Trousers made from 100% polyester these are great work trousers. They have a single pleat, straight legged, back pocket with button and flap, side pockets and belt loops. Available in black only and in regular and long length.